A former Chief of Defence Staff, Air Chief Marshal Alex Badeh (retd. ), has been killed. It was gathered that the retired military officer was killed on the Abuja-Keffi Expressway on his way back from his farm. He was said to have been shot along with his driver on Tuesday. Until his death, he was standing trial for alleged diversion of funds meant for arms purchase. "It is with a heavy heart that I regretfully announce the unfortunate demise of a former Chief of Defence Staff, Air Chief Marshal Alex Badeh (retd. ), who died yesterday, December 18, from gunshot wounds sustained when his vehicle was attacked while returning from his farm along the Abuja-Keffi Road. 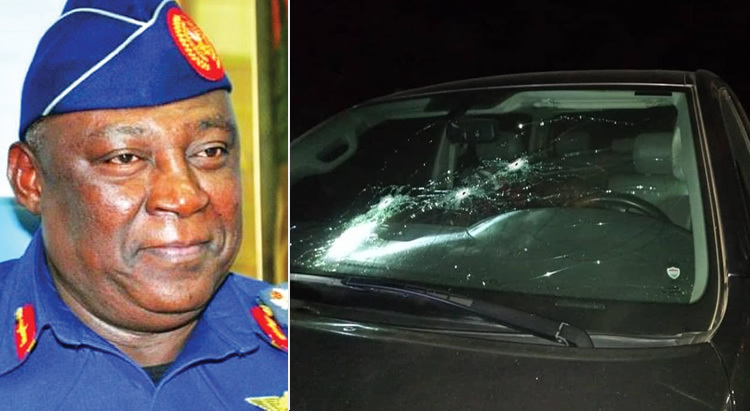 “On behalf of officers, airmen and airwomen of the Nigerian Air Force, the Chief of the Air Staff, Air Marshal Sadique Abubakar, commiserates with the family of the late former Chief of Defence Staff over this irreparable loss. “We pray that the Almighty God grant his soul eternal rest,” the statement read. The late Badeh, who was 61 years, was commissioned into the Nigerian Air Force in 1979. He was born in Vimtim, in the Mubi Local Government Area of Adamawa State. He attended the Vimtim Primary School. Vimtim and went on to obtain his secondary school certificate from the Villanova Secondary School in 1976 before proceeding to the Nigerian Defence Academy. The retired military officer was promoted Air Vice Marshal on January 3, 2008. He was appointed Chief of Air Staff by President Goodluck Jonathan in October 2012 and was appointed Chief of Defence Staff in April 2014.